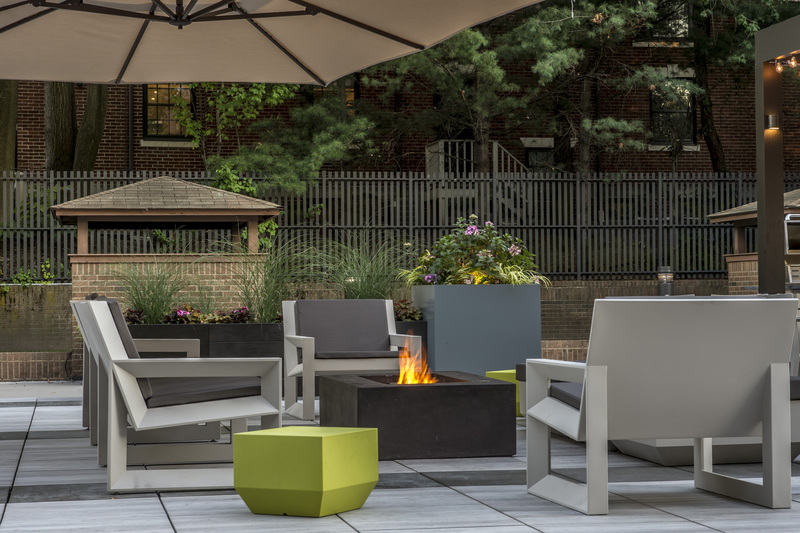 Warner Larson worked with Hamilton Group directly to create a multi-use outdoor plaza for the Residences at 1111 Beacon Street. The outdoor plaza replaced a pool that had water leakage issues but was also not used by the residents. 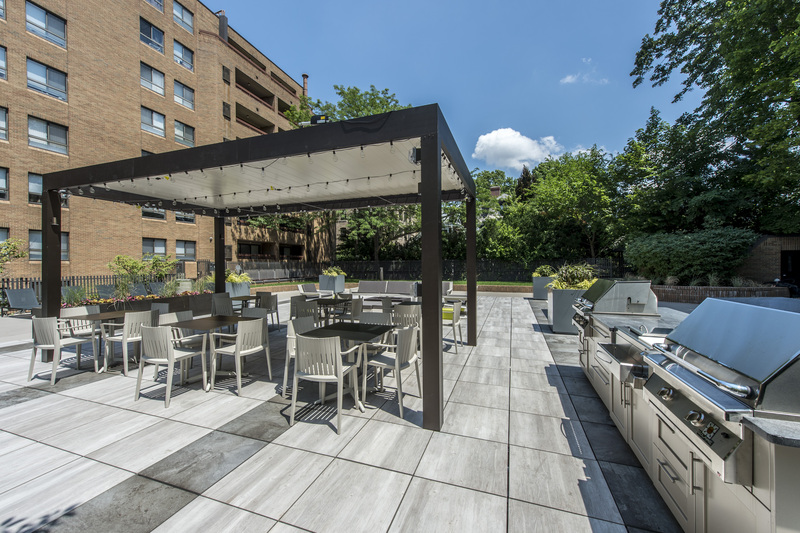 The design offers a paved plaza with multitude of seating options, fire table, sun lounging, large communal dining area, built-in outdoor kitchenette with gas grills, refrigerator and a motorized pergola that offers customizable shade. The hardscape of the plaza is softened by use of several planters offering visual buffer and sense of privacy. The building has a brick façade and the remaining existing plaza is colored concrete. 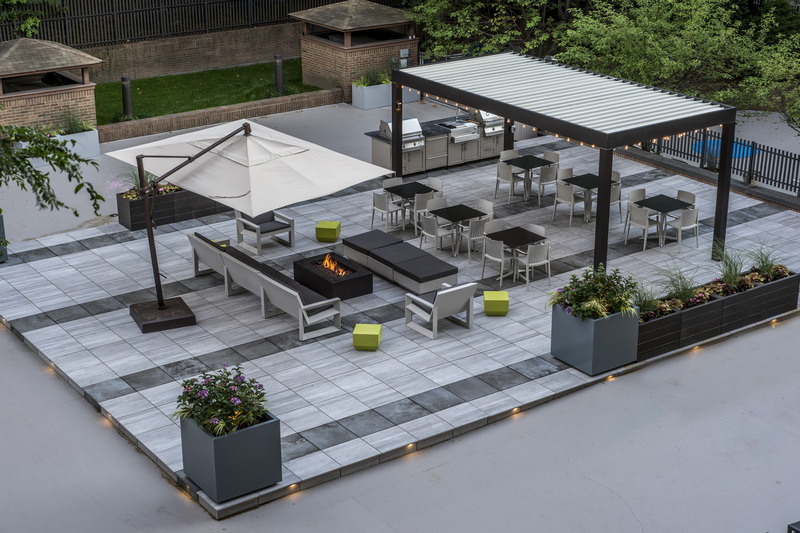 The choice of materials here from the porcelain paver tiles that resemble drift wood along with the high-end European all-weather site furnishings in taupe bring a sense of richness to the existing façade while blending in seamlessly. A pop of bright green accent color that matches the ornamental forest grass adds brightness to the sophisticated muted tones. 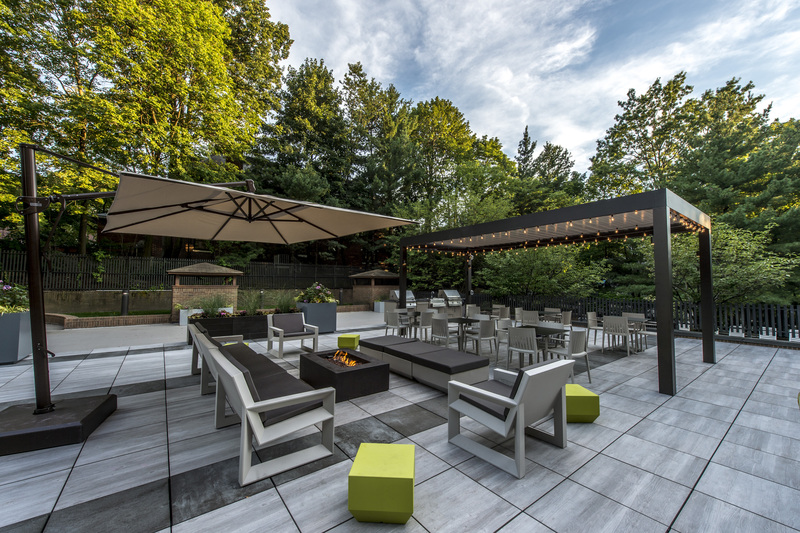 Strategically placed landscape lighting further illuminates the mood of the place allowing residents to enjoy the space through dusk. 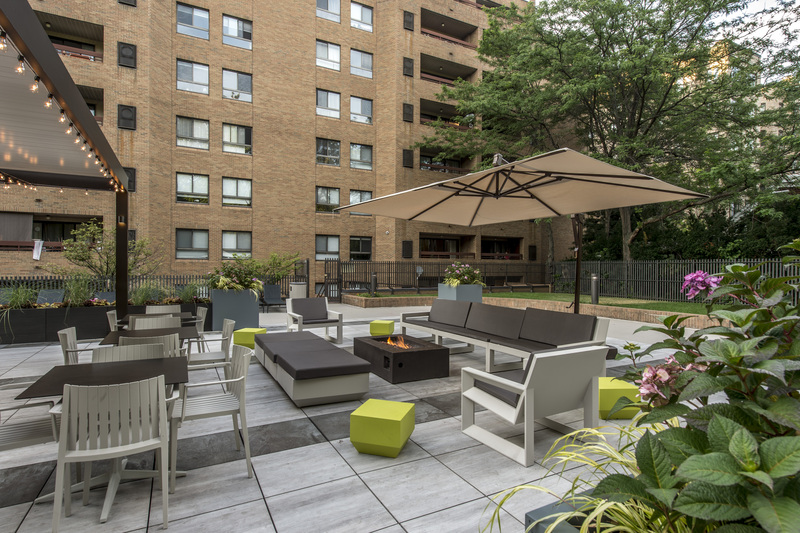 Residents of the space have been using this outdoor space throughout the day and weekends for work, individual relaxation, socialization, grilling and large get-togethers. One resident described the space as “being in a resort”.